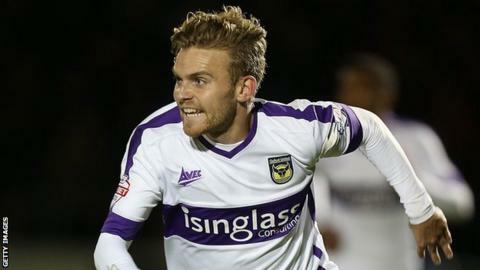 Oxford United winger Alfie Potter has been told he can leave the League Two club by manager Michael Appleton. Potter, 26, joined from Peterborough in July 2009 after an initial loan, and has played nearly 200 U's games. He was part of the 2010 Conference Premier play-off winning side that won promotion into the Football League. "It's going to best for both parties if he goes and finds another club and starts enjoying his football again," said Appleton. Potter has scored 28 goals for the club, including one in that play-off final win against York City. He has made 20 appearances this season, and had loan spells at Grays, Havant & Waterlooville and Kettering before joining Oxford. "Alfie has been at the club a long time and sometimes we all have shelf lives at football clubs and quite possibly his time might be up," added Appleton. "It's a little bit unfortunate because he's got a bit of talent."